This is by far the best account of the financial crisis and its origins. Part historical, part journalistic, part thriller. The ending however peters out somewhat. A must-read on the whole. 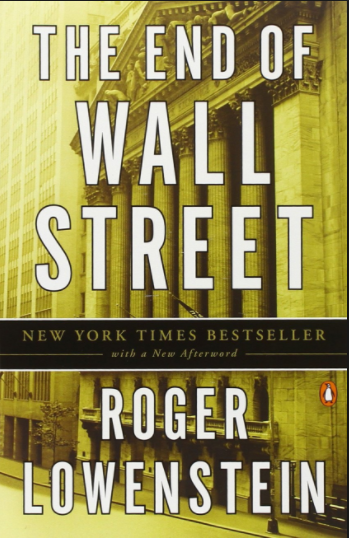 This book is far the most complete account of the financial crisis of 2008. It begins with a chapter each on the players that were to play their part, dutifully, in bringing down, well almost, the economic foundations of western capitalism - each chapter providing a peek into the players and the maladies that afflicted the financial system: the origins of the housing boom, the NINA mortgages (No Income No Asset), Countrywide, New Century, subprime lenders, S&P, Moodys, Fitch, the ratings corruption that enabled the subprime "Niagara", CDOs, Lehman, AIG FP (AIG Financial Products), and more. The second part, though there is no clear delineation, is a very tightly scripted account, reading almost like a racy thriller, a minute by minute, hour by hour retelling and reconstruction of the proceedings and discussions and negotiations and the back-and-forth that went on to save Lehman, and not Bear Sterns, how Bank of America wanted to buy Merill Lynch, then not, and then did eventually, are described very, very well. The almost non-stop negotiations, the preparatory work for filing for bankruptcy (it's not as simple as we tend to think it is). Can't stop reading. 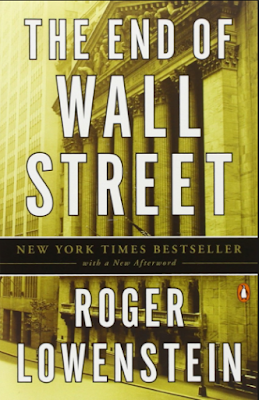 The book's eponymous chapter, "The End of Wall Street", unfortunately, is the weakest of the book, relatively speaking. It could have been better written, and could have done a better job of explaining why or how this is the end of Wall Street. By all accounts, it is back to business as usual for Wall Street. With fewer players for sure. Which means more concentration of financial muscle. To palm off securitized mortgages, you had to first sell enough mortgages. One way you did that was to sell mortgages to people whose credit worthiness should have disqualified them. How you can sell them a mortgage is by approving them to be eligible for one. And you approve them if you overlook falsification of the mortgage applications. When you read this, the paragraph below, it does make you realize just how manipulative and exploitative the mortgage market is in India; perhaps a reflection of a lack of regulatory foresight, or the emerging nature of the mortgage market and its size still too small to warrant a close enough look, or perhaps the marketing genius of home loan providers in convincing customers that getting fleeced is in fact a good thing. Here is where the author seems to take the position that speculators were in fact also contributing to the mess that ensued. Perhaps, but I would disagree. The analogy the author constructs - of a driver being refused insurance because his neighbors are betting on his having an accident - goes only so far and is incomplete. What if the reasons the thus-far-accident-free driver's neighbors have been betting on him having an accident is that he has taken to driving on the highway at speeds of 100 miles per hour. With failing brakes. And driving drunk. The author however goes on in the very next paragraph to explain why this charge is not necessarily accurate.